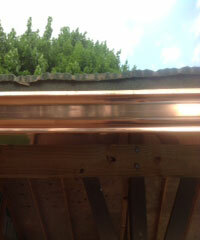 Did you have any idea that All County Gutter installs copper gutters? 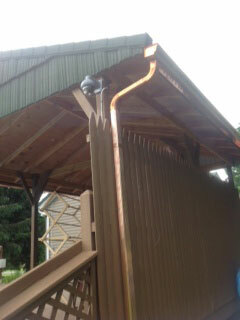 Have you seen copper gutters? They are beautiful! Jim had All County Gutter install some on his pool cabana! 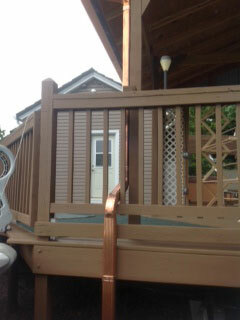 Now this is the top-of-the-line cabana with a stone coated steel roof and now copper gutters! Copper gutters add a totally different look! 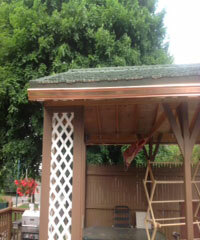 Professional installations by All County Gutter complete the package! Not only do they look great but they're installed perfectly so no leaks, no problems. Another tidbit you probably didn't know; All County Gutter is a complete manufacturing facility! So any color, size, weird configuration your house may have, they can make it special for your situation. What a great feature that is, Custom-made gutters and downspouts. Cracked, leaking, poorly draining gutters and downspouts feed water right into your basement and foundation causing all kinds of problems. You don't need to have that mess any longer. 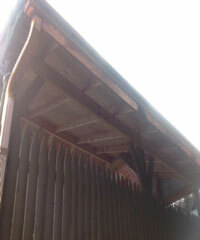 Simply call All County Gutter today and get your gutters replaced with perfectly made and installed gutters. Have You Signed Up With Mosquito Victory Yet? John Welch Enterprise Inc. Will Take Over Your Yard Work and Landscape Chores!